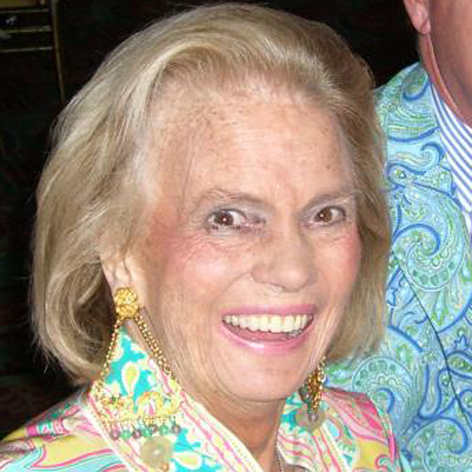 I'm sure many of you have already read this online, but today fashion icon and designer Lilly Pulitzer passed away at the age of 81. Lilly's style and life are an inspiration, and she will be missed! I have just started to really get into the Lilly Pulitzer brand this year, and I'm seriously in love with everything that company designs. Anything with the Lilly lable on it is guarenteed to be pretty and fun to wear. But as I'm starting to find out, the brand of Lilly Pulitzer is more than just a fashion lable. One of my favorite quotes from Ms. Pulitzer herself is "Style isn't about what you wear, it's about how you live." Lilly = classiness. RIP Lilly Pulitzer! May your legacy and your brand live on.